Windows 8 is perfect for PCs with only a mouse and keyboard, those with touchscreens, and those with both. Whatever kind of PC you have, you’ll discover fast and fluid ways to switch between apps, move things around, and go smoothly from one place to another. Windows 8 comes with a new store for apps, the Windows Store. Open the Store right from your Start screen to browse and download apps for cooking, photos, sports, news, and a lot more—many of them free. Windows 8 also includes the Xbox Music app, which gives you access to a whole world of music. The desktop that you’re used to—with its taskbar, folders, and icons—is still here and better than ever, with a new taskbar and streamlined file management. Stay up to date and more secure with Windows Defender, Windows Firewall, and Windows Update. Windows 8 starts up faster, switches between apps faster, and uses power more efficiently than Windows 7. I hope I can get this giveaway. I believe this is the first OS giveaway that I’ve seen, since I’ve met the internet. Please count me in ! Great deal !!! Thanks for this giveaway. YEY! i want windows 8 pro..
Wow thanks for this great giveaway!!! I have actually tried Windows 8 and I am getting use to it and actually like it. I know a lot of people prefer Windows 7 over Windows 8. I like them both though. I am building a new PC and this would really come in handy for me. Thanks again for this great giveaway, and good luck to everyone! I like to win a key. lol,win8 is so splendid that i can’t hold my feeling,i used MS product from xp to win7,and win8 should be my next computer os,^_^could appfound dada give me a taste chance. Wow! Is it for me? This is the best version of windows. count me in please , thanks. Outstanding Giveaway, good work and thank you . Please add me to the list. Thanks. Count me in please. Very nice giveaway. Count me in for it please. It would be great to get! count me in, thank you for this wonderful gift. Please count me in for this wonderful giveaway…. thanks for the great giveaway ! Nice giveaway, would like to try and see if it is as worse as the comments that people commented on the other site. What a great gift .. esper get lucky thanks appfound. A wonderful sharing. Count me in plz. Hope to get this giveaway. Great GiveAway! Count me IN. Great!!! Please count me in!!! Thank you for the giveaway. Hope I win. Oh, my God! Count me in, please!!!!!! Would love to win one. Hey nice giveaway please count me in. Fantastic giweaway, I want it! awesome! please count me in. Very nice software- Sign me up for this one!! Thank you so much for the giveaway! Thank you for this great giveaway. Please count me in. Thank you very much. Count me in! Congratulations Appfound for this great giveaway! The most sought out OS intown is up for grabs here and it’s through you Appfound guys! Consider me! I need for this! Thanks for this giveaway! Thank you for this fantastic giveaway. I’d really like to upgrade to Win8 from my old XP! Great giveaway – count me in. Count me in, I love to have for free…It’s about the right price for it after Vista when I spend $500 to enrich Bill Gates pockets ! Wow nice giveaway! thanks for the opportunity! OS giveaway!? You’re kidding, right!? I would love a license to Windows 8. Excellent website. Thank you very much for the opportunity. I want to be the lucky winner. thanks, can’t be skipped. cont me too. thank you for the giveaway . Yes please! Windows always welcome. great.thanks for this amazing giveaway. Great OS! I like Windows 8! Thanks Appfound for this nice giveaway! I would really appreciate getting this Windows 8 giveaway, thank you! Very nice giveaway please count me in! WOW! Give my eyeteeth for this one, please enter me. I’d love for a copy of windows 8 as I really enjoyed it when I used the customer preview! Thanks for this great giveaway! Great giveaway! Please count me. Yes please, count me in, great giveaway. OS giveaway? Wow, that’s really something special! Thanx, and please, count me in! I’m in for the Win8, too!! I’m waiting for get this giveaway FOR A LONG TIME!!! It is one of the greatest giveaways! I want this! Count me in! I hope this time I get..
Count me in – I run 64 bit! Please count me in for this give away. Thanks and hope to win! i want this please. thank you very much. Wow…Thank you for the very generous & awesome giveaway!!! Would love to win this. Good luck everyone!! Great giveaway. I hope I win. Excellent giveaway, thank you so much! I would love to try the new OS.Please count me in.Thank you. This is a great giveaway. Great giveaway.Beautiful, I want to be a winner. Good luck to all. MindBlowing Giveaway ! Windows 8 is a Fabulous new generation System software . But I M still lacking behind and still using Windows XP. Please count me in the draw ! Hope that this time my luck favors me and get a good chance to use Windows 8 with a Genuine Lifetime License key ! thats great i won any giveaway man please choise me!!!! Thanks for the giveaway, would be great to win! I really want to be able to win this. I was wanting to buy it for Christmas, but I was leery because I was in the mindset that you got a preset number of installers, and once you use those up it was it, but I learned I was wrong. I love Windows 8, I’d love to have it on my laptop too! Thanks, APPFOUND! Great! I hope I get it. Nice. Please count me in. Nice giveaway, please count me in. Thank you MS & thank you AppFound. Boy, I would really like to win this one . . .!! I would check it out, but only for free! This is a giveaway I would really like to get. Fantastic, please count me in! Great offer, count me in! I would love to win this. Count me in. Hi very nice giveaway count me in for sure. Yes, please, thank-you very much! Fantastic giveaway … I hope I’m the winner .. Please count me in. Thanks. Thank you for the giveaway! Great! Count me in, and thank you for this opportunity to win! Thanks for latest OS.Please count me in. Just getting ready to purchase and setup Win8; perfect timig. Hope I will be a lucky winner. Nice promo. Would love to win this. Thanks giveaway, count me in please, windows 8 is the stable and faster Os in windows. Hope can win one of the license. Thanks. If you want Win8, Pro is the only one to get. I would like to enter the Windows 8 Giveaway. Great! Count me in, please! Thanks very much for this Giveaway. Thanks to all of you and God, I hope I can have it here with me, and leave the choke Windows BASIC´s, has been worth it to get out of the software full of advertisements and limitations that give some academic professions outside Computer …. thanks giveaway, count me in. I would love to win Windows 8 Pro! I have tried Windows 8 and I love it! Hope to win! Thank You! I’d love to win a copy! Come on random.org-work that magic and pick me this time. Please count me in on this great giveaway! I hope I can get this giveaway! graet giveaway, I hope win. Awesome. Please count me in. really awesome giveaway, all the best then. Thanks, it would be nice to get it. Great deal again. I would love to get it. Please count me in. Thank you. In please. I want to win this. Thanks for giveaway. Please count me in. Windows 8 would be welcomed here as I have a notebook that supports it..
Oh yes please! count me in for this one. Wait is over ,My dream OS is available here. I would like to enter to win Windows 8 Pro. Thank you. Really big. Would love to win, please count me in. Wow! Waiting for this giveaway for so long..thanks a bunch! I hope I can get it. Count me in, please! Thank you. Please count me in. Nice giveaway. Count me in. please count me in in the draw. Wow. This is great giveaway. Please add me to the contest. OMG :). Windows 8 giveaway. Can’t get better than this. Praying that I’m selected. Pls count me in. Thank you. Great, count me in pl! Amazing giveaway …hope i can get one…thanks & p/s count me in. I take a chance to win. Great giveaway, count me in, please. Nice. Thanks for the chance to win. Fantastic giveaway. Please count me in. Count me in pls, I hope I get it !!!!!! Sure why not. Count me in. It ia too perfect! I’am back! when can i get this. Wow, great. Please count me in. This is a very rare and nice giveaway! Nice giveaway ! Maybe this time ! Amazing.Please count me for the great Giveaway. Thanks AppFound for the giveaway! Awesome giveaway! Thanks and please count me in! Great giveaway. I want this giveaway. Please count me in. Hey, tell me, what is a 64-bit key? Is that thing edible? ‘ve Never heard such twaddle. It would be great to see how Win 8 works with Advanced format drives and AHCI mode. I hope I win this! I pray that I win this giveaway this time. Great giveaway! Count me in! I would like a copy for my teen Son. Wow! Great giveaway! Count me in!!! I hope I can get this giveaway and use the free os, if so i will post a 2nd comment. Thank you for the Super Giveaway of Windows 8 Pro. Hopefully can win this time. Please count me in. Thx so much, please count me in. Wow! what a great giveaway ! Everyone is excited to see the result . me too ! Thanks. Hope to be lucky. Super giveaway!! Thanks for the give away. Great giveaway. Thanks. Count me in. A very super cool giveaway,thank you!Maybe this time i’ll win! Some hate Windows 8….so I hope THEY don’t enter, send it to me! Seriously, great prize and good luck to all. I posted earlier seems to not have appeared. Is it bugged? I hope I can get this giveaway!!! Fijn een exemplaar W8 te krijgen! Thanks a lot. Count me in, please. that’s awesome.Please count me in. Excellent giveway! Count me in please! W8 better than W7. Thank you. Please, count me in. Looking forward to a license key. I use x64-based PC.Gladly would use Windows 8 Pro 64-bit. Please count me in. Thank! Good opportunity to upgrade to the last OS of Microsoft. Thanks. Great Giveaway, I should take it…..
Wow! The most valuable giveaway I have ever seen! An OS! Awesome, great giveaway. Count me in. I really need this OS for scool ! Thank you very much ! Thanks. I hope I can get this giveaway. W8? Thank you very much! Hi! Thanks! Count me in please. Best regards! Hope to be in luck. I need it! I can get this giveaway. WAouh, I would like to have it!! This is a cool giveaway, count me in. Great! I want to win this time at least! I hope I can win this. Thanks for the giveaway! Currently I am using this OS. Its so fast and easy to use. But it will come with 90 days (evaluation). I hope I get it. Thank you. Windows 8 is perfect upgrade for me as its features are great for productivity and multi tasking. Please include me in the giveaway. Thank you. I hope get this giveaway. Great one. Please count me also. Great giveaway.Please count me in. Super giveaway.Good luck to all. Please count me in on the giveaway. Thanks! Have used Windows faithfully since version 3.1 prior to workgroups, and would love to continue with Windows 8 professional. Great treasure for the eventual winners. Thanks for the giveaway! I’d like to win Windows 8. Please count me in. I need this to handson for new from windows. This is a great giveaway 🙂 Well done! 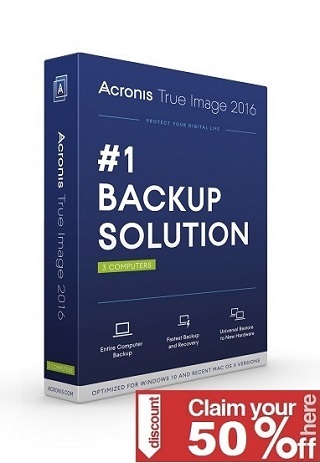 Would love to have a copy for my second computer. So many different comments about this new OS. It would be nice to try it out. Thank you for great giveaway. Why not give it a try! – Count me in…. Please, count me in for it! I hope I win a license for Windows OS8. Wow. This is one great giveaway! And I am happy to participate. I hope to see more often giveaways like this; there are few software very important to us, computer users, and paid OSes are few of them. Maybe with this kind of giveaways will be less pirated software and then less chances to get infected/crippled software and less chance to “burn” your hardware. Thanks for the giveaway.Please count me in. Great giveaway. windows 8 is the best. please count me in. thanks! Great giveaway! Please count me in. Thank you. A very nice giveaway, thanks for the campaign!! hello, please count me in to win a license. I would really like to get in on this giveaway but my comment is not approved even though I subscribe to the mailing list. Thank you AppFound for this superfantastic contest. Count me in thanks !! Please count me in. I’d love to give ‘8’ a whirl. yeah ! amazing giveaway. OS and Legal ! Maybe i have luck. This is great giveaway. I do not believe giveaway giving os for Win8 I hope to win this giveaway. Oh count me in, Oh yes, please! Please count me in for the Windows 8 Pro giveaway contest. Wow, At last! I hope i get this giveaway. Thank You. Please count me in. Hope to win. Count me please. Great giveaway. Count me in, please. Thanks. Wow. Great giveaway. Count me in. I`d love to check find out what`s new in 8.. Thanks for the giveaway.Count me in. Looking forward to know who’s the winner… Good product by the way! thanks for this great giveaway…. Great giveaway! Thanks for including me. Great thank you very much and please count me in. Awesome, I want to win.Good luck all. I’d really like to win this. 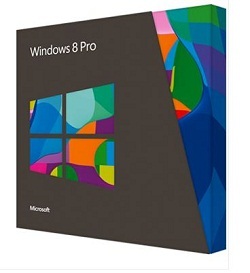 Windows 8 Pro Giveaway! Count me in. I like window 8. looks very nice. I do not see my comment, so I’m writing again. Great giveaway. Thanks for the chance to win this system. Thanks for this great giveaway campaign. Would love to win this software!! wow amazing a genunine os key, once in a life time contest, Must be surely the luckiest whoever win it, indeed count me also in for this contest. Please, coumt me in. Thanks. It is interesting, count me in! Please, count me in! Thank you! I bought one for my desktop, but I really would like another one for my notebook. Thank you for this giveaway. A really nice giveaway. Count me in please. thanks for this great giveaway. One of the best giveaway ever. Congrats for giving such an amazing gift. Thank you very much. A campaign has been very good. Awesome ! Count me in,please ! Right On APPF!!!! Please count me in!!! Thanks amd thanks again!! Hope I get to win it. Wooow superb…. count me in sir…. Thank you so much Appfount. It’s awesome. Great Giveaway.Very Good Campaign.Thanks AppFound. GREAT giveaway, thanks a lot. Need to be very very lucky to win this. anyway I’m never lucky enough for that. Thanks appund. Nice giveaway. Please count me in. Awesome Giveaway. Count me in. Thanks. Wow, a OS! Great Giveaway! Count me in! Great giveaway please count me in. Thank you for this excellent giveaway! Thanks for the chance at this! I feel lucky so time to enter some comps. oh, amazing! should I get it!!! Sweet, Count me in please………. I’d like to win a copy to to use with my new Win8 keyboard which supports the gestures. Maybe that makes all the difference. plz count me in! thanks! This blog is going to make me addicted to it day by day! please count me in this great drawing! Count me in! Thank you for this giveway! A perfect giveaway. Please count me in. Thanks. count me in.would want to win it. Please count me for this giveaway. The best giveaway ever.Count me in. I want it, please. Thanks. Thanks AppFound for this fantastic giveaway. I’d like to upgrade my OS to Windows 8. Awesome giveaway.. Hope i win this.. VERY VALUABLE GIVEAWAY. WOULD LOVE TO WIN A KEY FOR THIS. I like this software.Thanks for this giveaway. Thank you very much for the gift. Please count me in..great giveaway.I really want to get this software. Thank you for the giveaway.Please, count me in! Good job! Count me in please. Great giveaway! Count me in!!! Thanks for the great offer! One of the best giveaway ever. Very nice giveaway, great software! Count me in for this one. I wish to win this. 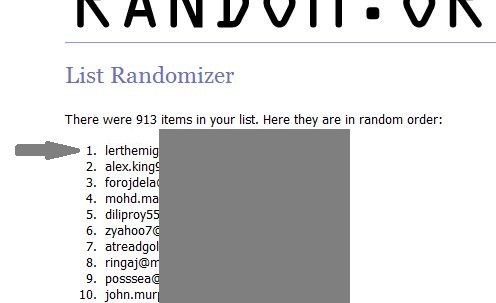 One of the best giveaway..
Bardzo chciałbym ten system, teraz mam 7 a podobno 8 jest wiele szybsza. Biorę już udział jakiś czas w tych konkursach ale jeszcze nie udało mi się nic wygrać więc może tym razem szczęście się do mnie uśmiechnie. Thank you for this excellent Giveaway. Stumbleupon-blog is going to make me addicted to it day by day! Thanks also to AppFound for this fantastic giveaway. I’d like to upgrade my OS to Windows 8.
hope this windows will be mine soon…..
most wonderful windows i have ever seen……..
Windows 8 Pro Giveaway? It’s fantastic! Count me in. Very Great Giveaway. Please kindly to include me in Dude. I hope to win a license. Superlative contest. I’m really interested to Windows 8 Pro license. Thank you. It seems my first comment wasn’t approved, although I was subscribed. I will post it again. A ver si tengo suerte muchas gracias. Hola muy buena promocion gracias seguir asi. This is a really fantastic giveaway. Congrats and thanks. Please count me in. count me in this. thank you. Count me in!!! Great giveaway, thanks!!! My old pc with XP is too slow, and Windows 8 would be really useful. Please count me in this fantastic giveaway. very nice waiting for this astonishing OS. I would like to try this. Count me in please. Thanks. Great giveaway!Thank you for the hope! Thanks once again for the opportunity. Thank you for this contest. Win8 Pro is really an interesting giveaway. Thank you. Thanks for giveaway!!! Please count me in!!! Am i lucky? I’ll give it try. 🙂 Count me in! I am using Windows 7 64bit, Thanks for a gift !!! Thank you for this giveaway! I’d like one of these. Great giveaway, count me in. Thanks. Thank you for this wonderful giveaway. Windows 8 Pro is very attractive, please count me in. The best Giveaway I ever seen. Thanks a lot. Please enter my name in the drawing, and Thanks for making this contest possible. Thank you, is very nice! I want to upgrade my OS. Thanks. Please count me in the giveaway. Its awesome!!! count me in too! Thank You!! Really surprising giveaway, please count me in ! Great contest! Thanks for the opportunity! Nice giveaway. I hope I win. This is a great giveaway., I hope win. Thank you for the giveaway!I hope to win.Good luck everyone. Please count me in. Thanks for giveaway. Thanks giveaway, Count me in please , cannot wait to try windows 8 pro version. Thank you very much and all the best for you. Great giveaway. Count me in, please. Would love to have a copy for my laptop! Thanks for shared! Count me in, please! © 2019 AppFound. All rights reserved.